Our boss, Chris Kitchens, training new employees on fire! Unexpected bad weather can put a damper on your plans especially if this were to happen to your property. In the event of storm damage contact SERVPRO Of Vicksburg & Yazoo and let our trained technicians restore your property "Like it never even happened." As the cold weather is approaching always remember to protect and check your pipes. If your home is affected from a frozen pipe that burst contact our trained staff and let us take on the job for you! If your home in Vicksburg or surrounding areas is ever affected by a fire loss contact the professionals at SERVPRO Of Vicksburg & Yazoo to restore your property. Our technicians have the training and experience to restore your property "Like it never even happened." If your commercial property is ever affected by a water damage do you know what to do?? The professionals at SERVPRO Of Vicksburg and Yazoo specialize in water restoration and strive to make our customers satisfied. If your property ever encounters a disaster like this in the picture call us at 601-634-0909 and let us make it "Like it never even happened." 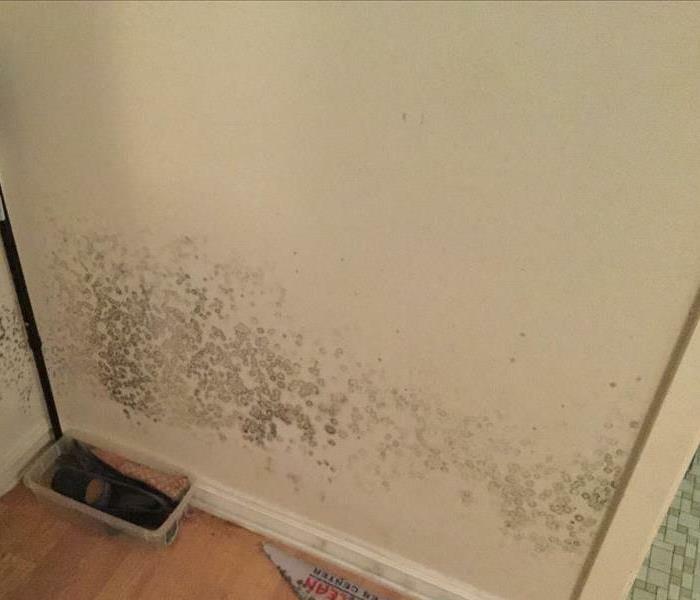 This is an example of microbial growth in a home due to a water damage that went unnoticed. SERVPRO Of Vicksburg & Yazoo came on the job and completed the mold removal and got this home back to pre loss condition. Have you heard our exciting news??? SERVPRO Of Vicksburg & Yazoo has moved to a new location!! We were located at 101 County Lane in Vicksburg now we are located at 6207 Hwy 80 in Vicksburg!! This is an example of smoke webs that could be throughout your home after a fire damage,our trained professionals cleaned this home from all the smoke and soot damage. This top down water loss happened due to a frozen pipe. There was an extensive amount of damage through out the home. The owner was extremely satisfied with the completion of the job. This is the aftermath of a grease fire in Vicksburg,MS when our crews arrived at the home. The home had a massive amount of damage and had to be gutted out. 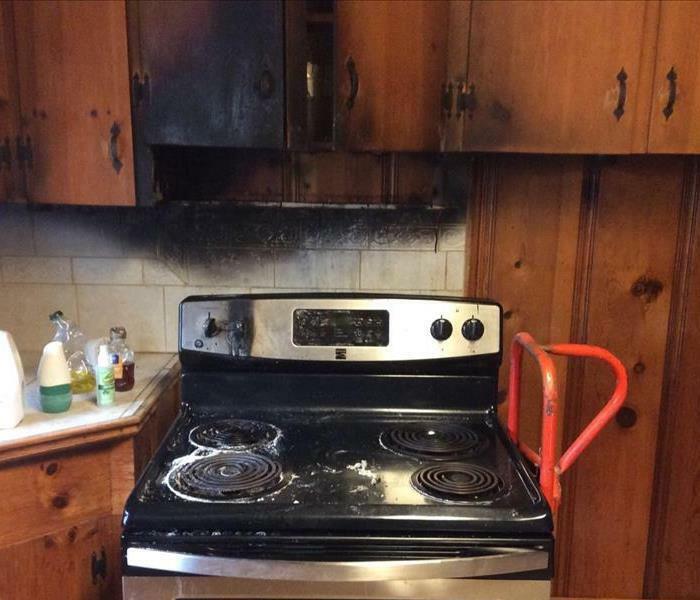 These are some of the dishes that were affected due to a kitchen fire in Port Gibson,MS. When we arrived to start the restoration process there was a large amount of smoke and soot in the home. 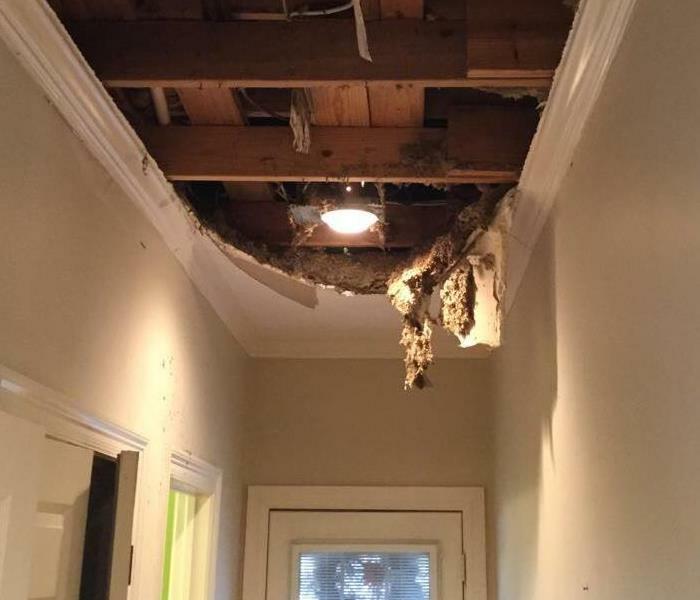 This is the aftermath of a busted pipe in the ceiling located in Vicksburg,MS. When we arrived at the location the ceiling had already fallen due to the amount of water it had taking on. The owner was very pleased with the job performed by our crews. This is the disaster this business was greeted by when they arrived to work. There was a significant amount of water damage due to a roof leak. The business was very satisfied with the end results when our crews finished. This home has black mold growth due to a water leak in the ceiling that went unnoticed. Once the homeowner noticed the mold they contacted SERVPRO of Vicksburg & Yazoo to remediate the mold. This is a customers home in Vicksburg,MS that was affected by mold,the home had mold growth in a couple areas of the house. If your home or business is ever affected by mold call SERVPRO of Vicksburg & Yazoo 601-634-0909 and let us make it "Like it never even happened." After a substantial amount of rain that caused flooding throughout the area, this home took in a good amount of water. This entire home was affected when our crews arrived. This commercial building took in a substantial amount of water from a roof leak. Our crews arrived on the scene mitigated the water and started the drying process to help them get back to normal business. This is the result of a substantial amount of rain in Vicksburg,MS when our crews arrived. 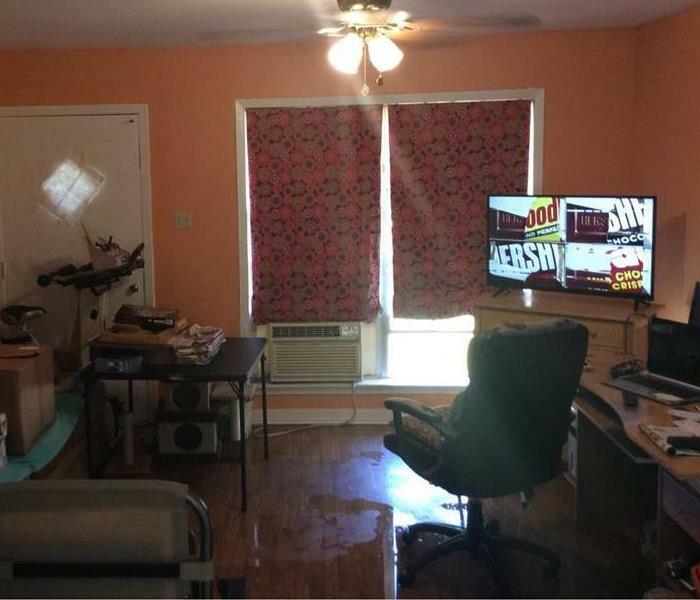 After a massive amount of rain this home took in water causing this home to flood. The owner was pleased with what our crews had done to clean the disaster up. This was the aftermath of a grease fire in Vicksburg,MS when our crews arrived.The home had a large amount of smoke and soot damage through out the home. 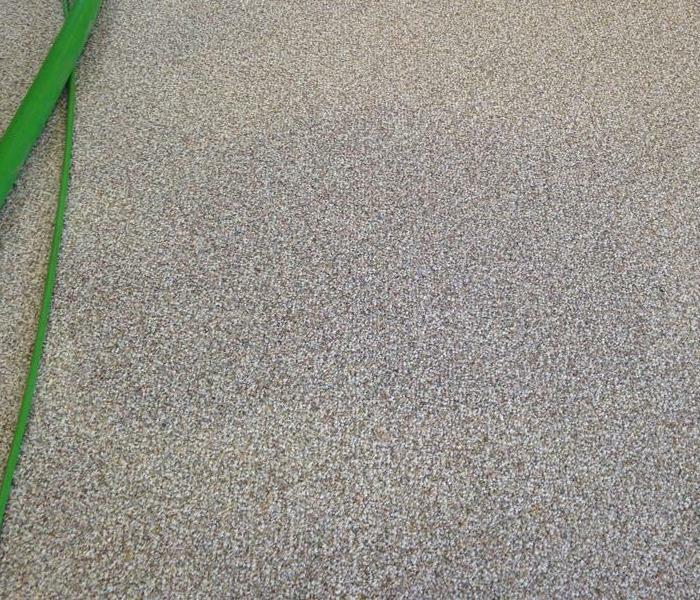 The owner was very satisfied with the results when our crews finished the cleaning process. We can make any disaster "Like it never even happened." A toilet overflow in the middle of the night caused a lot of damage throughout this home in Port Gibson,MS. When our crews arrived at the home there was standing water throughout the home. 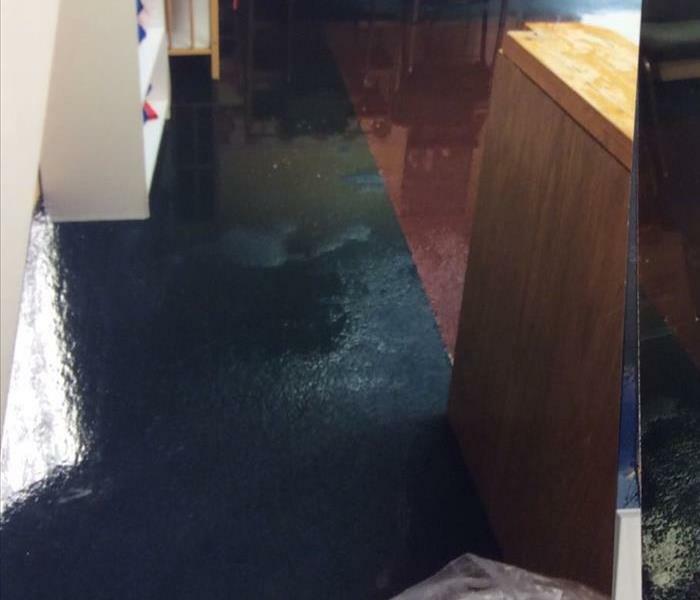 Our crews mitigated the water and pulled affected flooring then began the drying process. 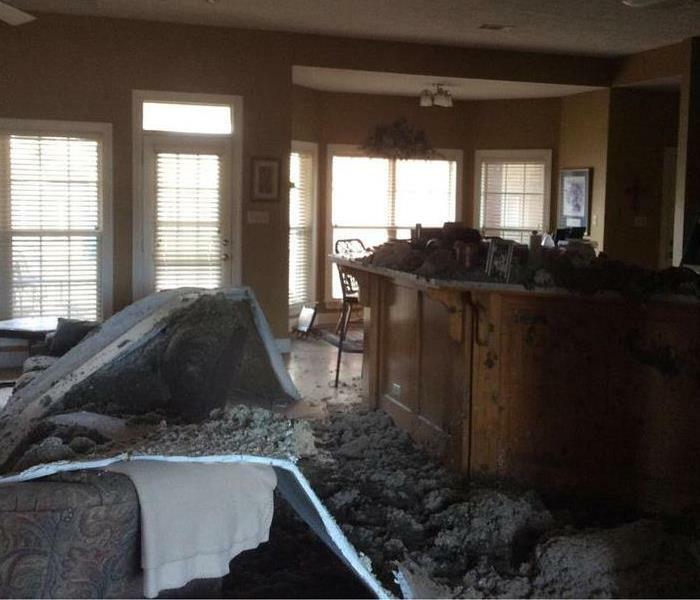 This home in Louisiana was damaged due to a hot water leak. 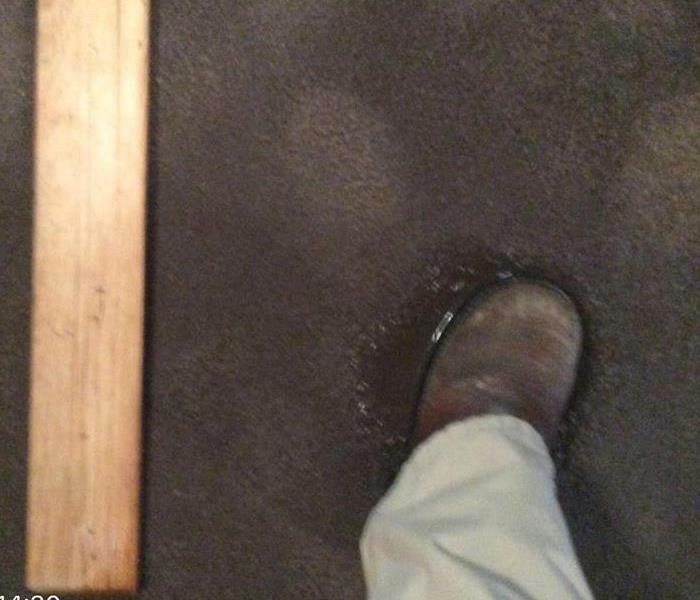 As you can see in the pictures there was standing water when our crews arrived at the home. Our crews mitigated the water and started the drying process. This home in Vicksburg,MS was a total loss due to a candle that was left burning that eventually caught papers on fire. Our team was able to save and clean some of the affected contents for the homeowner. Do you know the health issues mold can cause? If you suspect your home or business has mold call SERVPRO of Vicksburg & Yazoo 601-634-0909 and let our trained technicians take care of the problem for you. SERVPRO of Vicksburg & Yazoo is always happy to assist home or business owners with hectic situations that you are not prepared for. This tree fell on a home during a storm causing water damage to the interior of the home. Severe thunderstorms can hit your area anytime. This commercial building got hit hard when strong winds came through and tore a part of the roof off in Vicksburg,Ms. If your home or business is damaged by a storm, let SERVPRO of Vicksburg & Yazoo clean up your damages. An excessive amount of rain can cause major flooding to your home or business. If you are ever in this situation let the team of SERVPRO of Vicksburg & Yazoo help you out with your damages. We purchased this new box truck from SERVPRO Corporate. It is a 16' Ford tandem axel. It is equipped with a new Saphire truck mounted extractor with 60 gal fresh water tank and a 100 gallon waste tank. We had the shelving installed to hold our products and drying equipment and the exterior lighting package installed on the rear of the truck. Still amazed at how devastating water can be! A flash flood caused over 10 inches of rain to fall in a 1 hour period. This building had over 1 foot of water in it. The flood waters brought in mud and silt which got inside of the wall cavities. We made the 2 foot cuts so we could remove wet insulation and clean the stud wall. After 3 days of running water with no climate control this customer came home to discover this in their basement. 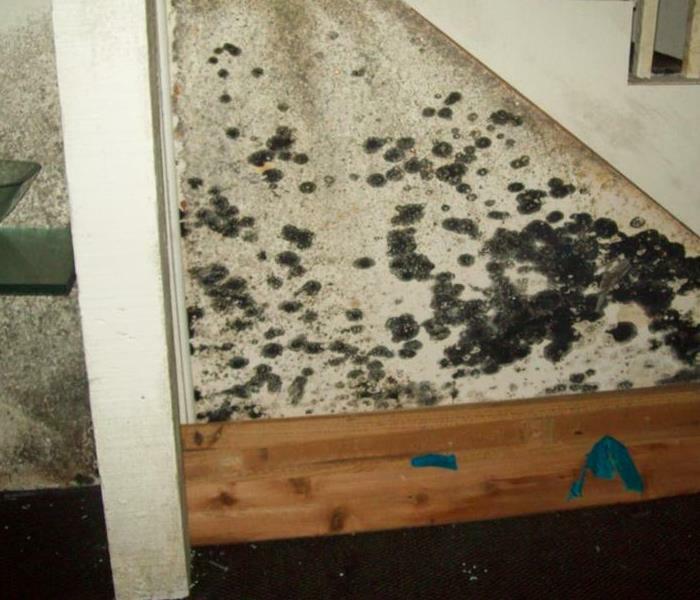 Mold can begin to grow in just 24 hours in the right conditions. 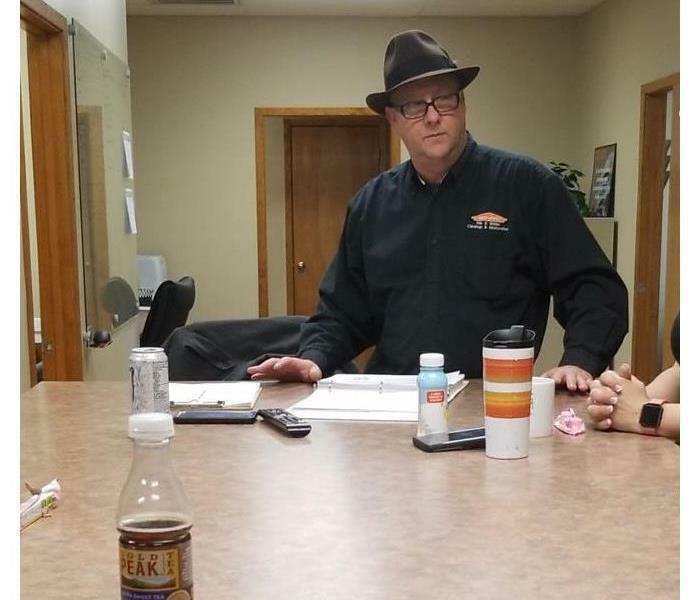 At SERVPRO of Vicksburg & Yazoo we have the training and knowledge to assist customers with any of there mold remediation needs. 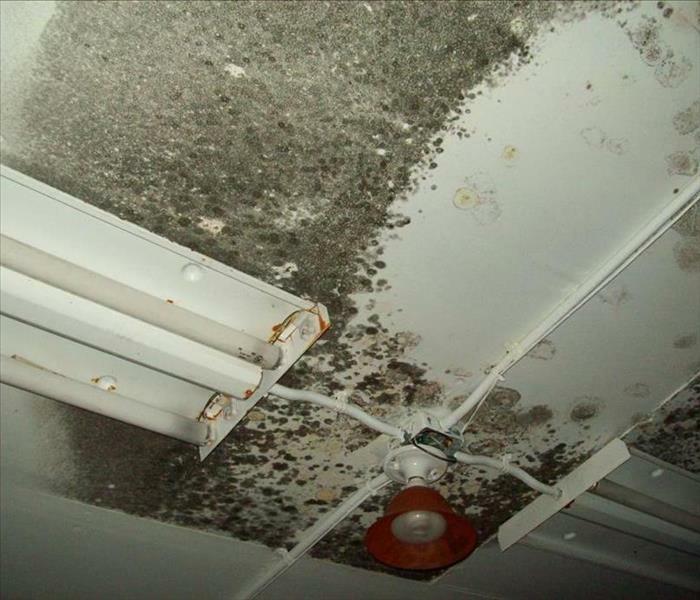 When water is not mitigated in a timely manner mold can begin to grow in as little as 48 hours. SERVPRO of Vicksburg & Yazoo understands the importance of arriving quickly and mitigating the damage as soon as possible. 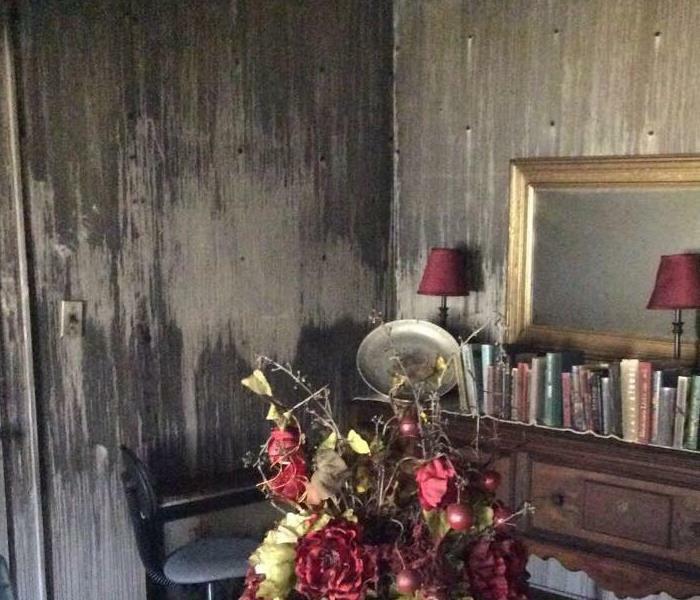 This is a photo of heavy smoke damage to a bathroom tub and surround from a fire in Vicksburg, MS. Though it may look at first glance like this tub would be non salvageable we were sucessful at cleaning it to a preloss condition. This was the after math of a kitchen fire in Vicksburg, MS when we arrived on the scene. There was significant smoke and soot damage. The owner couldn't believe how quickly and completely we were able to clean the soot from the walls and ceiling. We make disasters " Like it never even happened." So hot the Candles started melting!! It was so hot in the house, that the candles started melting...along with us! This was on a water damage in the middle of July. We packed out the entire home so we could remove the floors in the home. The power was out to the home due to the extensive water damage but the SERVPRO crew didn't let that stop them. Good job team!! One of those spots we didn't know how well it would come out. So we performed our Showcase carpet cleaning method. This carpet was shampooed and then rinsed and extracted with the truck mount. It turned out so good the owner couldn't believe it. 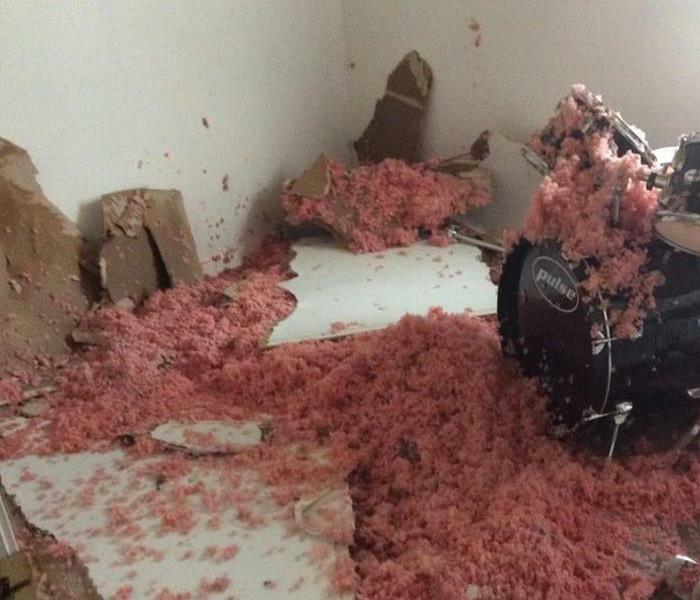 He was going to replace the carpet if it wouldn't clean up. He was very happy that we were able to restore it. This was a bad stain on commercial glue down carpet. 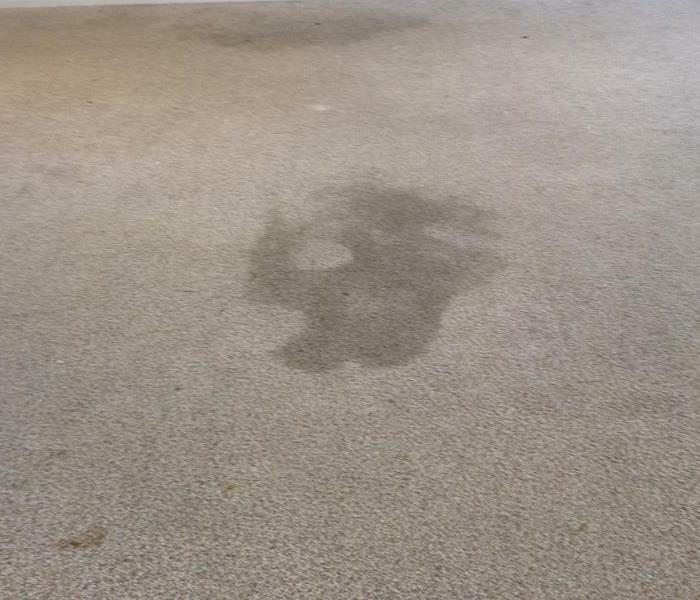 We implemented our showcase carpet cleaning method and now you can barely see where the stain was. The owner was very pleased that we were able to salvage the carpet so he didn't have to replace it. This home in Vicksburg, MS had algea growing on the exterior brick. SERVPRO of Vicksburg & Yazoo Technicians were able to sucessfully restore the brick to its original condition. The home owner was very thankful. This home in Vicksburg,MS had algea on the bottom exterior bricks. The team of SERVPRO of Warren & Yazoo were able to clean the bricks back to its original look. A toilet supply line ruptured in a bathroom on the floor above this one and ran all weekend. 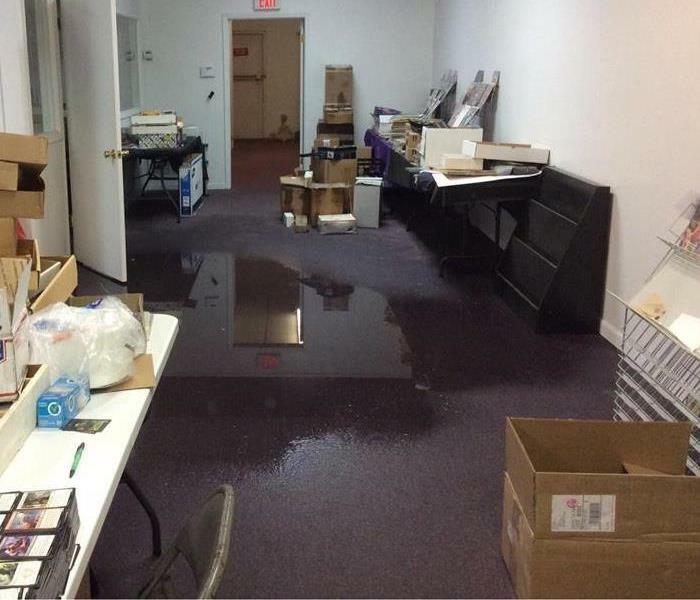 On Monday the clients came to work to find their building flooded. All the walls were insulated so we removed the wet drywall 2 foot up to access the wet insulation. The insulation was removed and the structure was dried and ready for a contractor to make the repairs. Many times in a commercial building even the interior walls are insulated. In this case the water had gotten high enough in this bathroom for the insulation to wick it up. In these situations we must remove the drywall in two foot cuts to get to the wet insulation so we can remove it. Water damaged file documents on this commercial job required vacuum freeze drying. 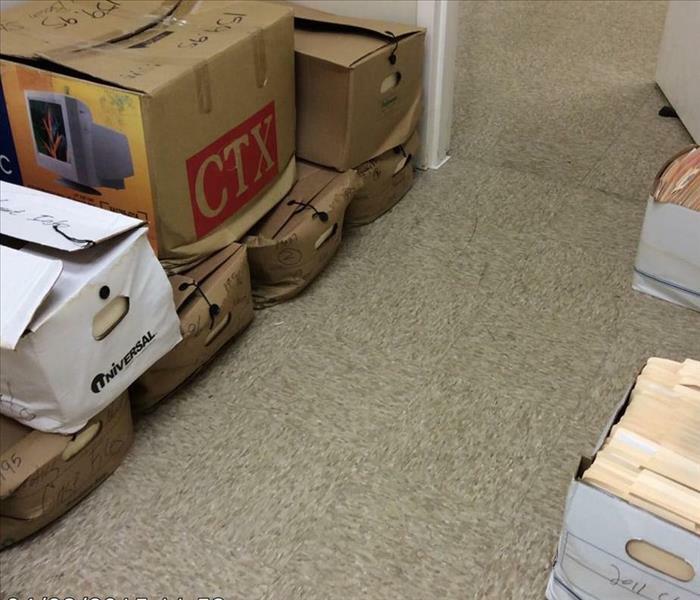 We were able to re-box and freeze these documents quickly. They were then shipped to Galatin, TN on a refridgerated truck to our documents drying department at Corporate. This was a devastating top down residential water damage in Vicksburg, MS. These types of water damages cause the most damage because the water comes from an upstairs source or the attic. The team of SERVPRO of Vicksburg & Yazoo were able to restore this plate back to its original look after a house fire. The customer was very satisfied with the completed job. 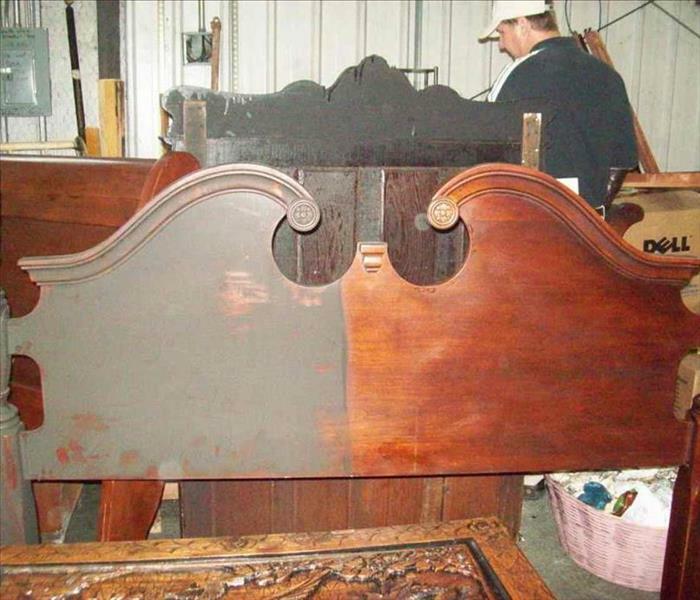 We cleaned 1/2 of this headboard to show the contrast between before and after cleaning of smoke damaged furniture. At SERVPRO of Vickburg & Yazoo we have the proper cleaning supplies and training to restore fire or smoke damaged furniture. This whole house in Vicksburg, MS was flooded with sewage. Sewage is considered category 3 water which is grossly contaminated. 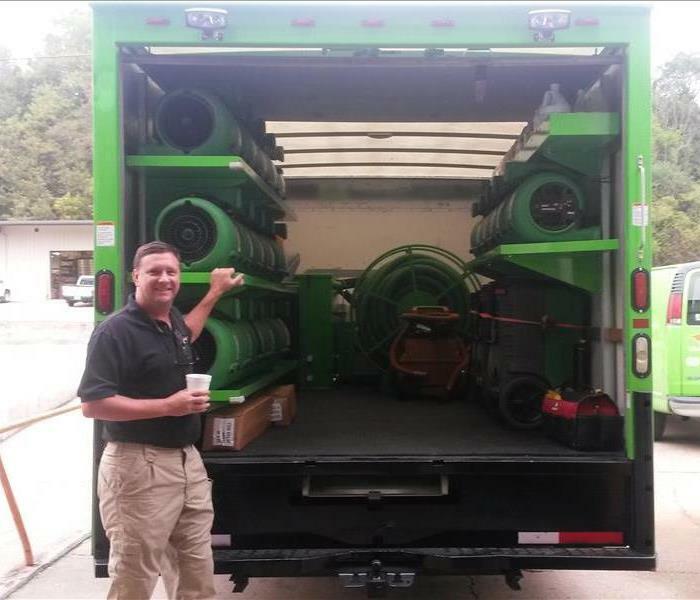 SERVPRO of Vicksburg & Yazoo is equipped to handle category 3 losses whether it be sewage or flood water.